The following is a small sampling of testimonials provided by our clients. Switching over to GEMINI® was one of the best things we ever did for our company. Changing POS software can be a nightmare. Luckily for us, we didn’t have that issue with GEMINI®. We have a multi store platform and we couldn’t be happier with our transition. It didn’t take long at all for our employees to adjust because the software is user friendly. I highly recommend anyone who is looking to switch software to go and work with MPI. What separates from other software that I looked at was not just the benefit for our sales staff, but the benefit to the people on the back end. Our accounting and Inventory management has become much more efficient because of the capabilities that GEMINI® provides us. MPI Systems has far exceeded our expectation, allowing us the ability to use software as a management tool in all aspects of our business. The capability to customize the software to our preferences and MPI’s consistent enhancements made to GEMINI® makes MPI Systems’ GEMINI® the only option for software in the jewelry industry. Excellent Product & Support. We have used GEMINI® software since 2008 and love it. It is easy to use yet very powerful. The development team stays on top of current technology and constantly integrates new ideas, products, methods, and techniques into the program. Customer feedback also seems to be highly regarded and product enhancements often result. It is a joy and a privilege to use GEMINI® and a comfort to know that top-notch support is just a phone call away should the need arise. Mikimoto (America) Co., Ltd. has been using the GEMINI® POS system from MPI Systems, Inc. since June 2010. GEMINI® is very easy to use and sales staff can be quickly trained. The system is very powerful and there is much more that GEMINI® has to offer than we are currently taking advantage of. I am very pleased with the support that MPI provides; they are very helpful and quick to respond to our support needs and requests for changes to the system. I highly recommend GEMINI® for any POS needs for jewelry retail environments. So much functionality! … The reporting is excellent. Most impressive to me is the customer service and support. We have done some customization to the product, and that has gone really well also. We have yet to fully explore all of GEMINI’s capabilities, but we look forward to adding more of what GEMINI® has to offer to our day to day activities. I am amazed how quickly my staff adapted to using ShopControlPro®. I really only have good things to say about this software and the company that is behind it. They already understand our industry and the things that we care about. It makes life a lot simpler. MPI has been very responsive to our support needs. We evaluated many systems and feel we made a good decision to go with MPI Systems. GEMINI® has revolutionized the use of technology for our jewelry industry by keeping it simple and easy, my management decisions would not be as sharp if not for GEMINI’s comprehensive management reports…. Personally speaking, MPI cuts down on double work and careless mistakes, this gives me more free time to spend with my family as well as pursue other personal interests. GEMINI® was it – We had been paper based for over 100 years so moving to a POS/computerized inventory system was a significant change for us. We looked at every solution for the jewelry industry and GEMINI® was the best. The transition went well and the support has been excellent. The ease of use of GEMINI® Pro has been so great. We are able to get new employees on board and up to speed very quickly. Changing Software and Companies is a big decision. We have found the GEMINI® Pro Software to be a refreshing change for what our business needs are. The prompt installation after committing to make a change and onsite training from a very knowledgeable person helped us get on board very quickly. Also the use and integration with Quickbooks® has made our accountants very happy. The support has always been there when we have needed it as well. Our overall experience has been very pleasant. Thanks to the whole Team effort at MPI Systems, Inc. for GEMINI®. My entire staff and I are so pleased with the GEMINI® Retail program that we would recommend it to any jeweler looking for a step up from what they are currently using. Rick and Annette Kaye, along with their entire staff have been very easy to work with. Their support couldn’t be better. They are extremely responsive to our questions, needs, and problems. I cannot emphasize how important that is as we rely on our jewelry computer program to help run our business in so many ways. GEMINI® is quite flexible and the built in reports that can be run, or created, combined with the power of Microsoft’s SQL Database is remarkable. I would definitely give MPI Systems and their GEMINI® programs a hard second look if you are new to jewelry specific software programs, are not satisfied with what you have now, or just wish to improve your business. 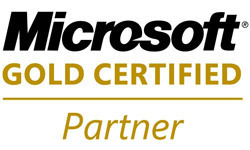 MPI Systems, Inc. is a Microsoft GOLD Certified Partner with an ISV (Independent Software Vendor) Competency. This certification recognizes the skill MPI brings to jewelry software technology.